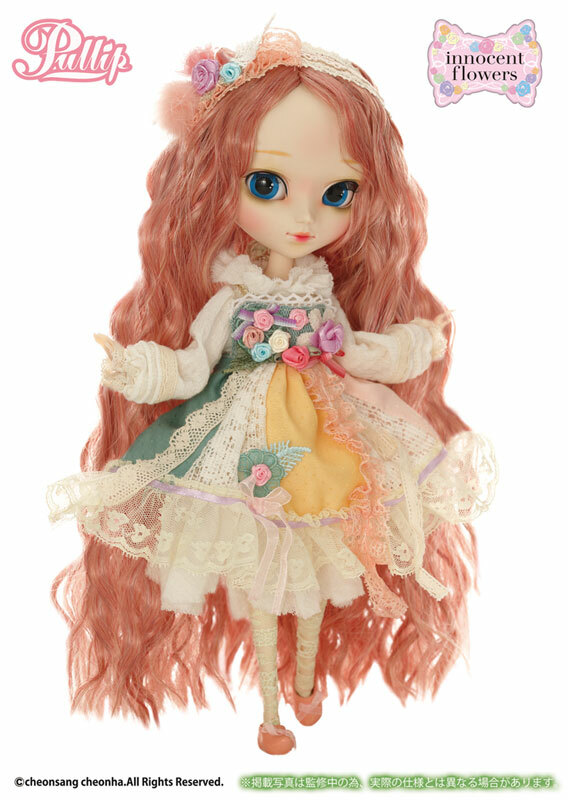 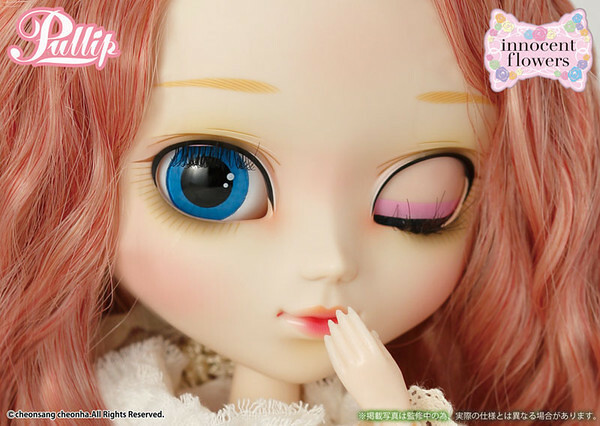 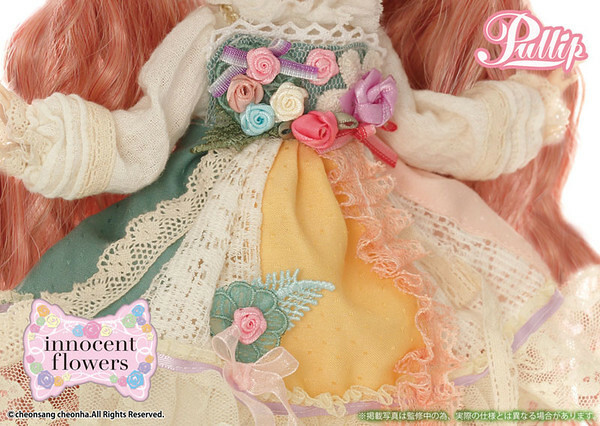 Pullip Eve Sweet is the first in a new original series called Innocent Flowers. 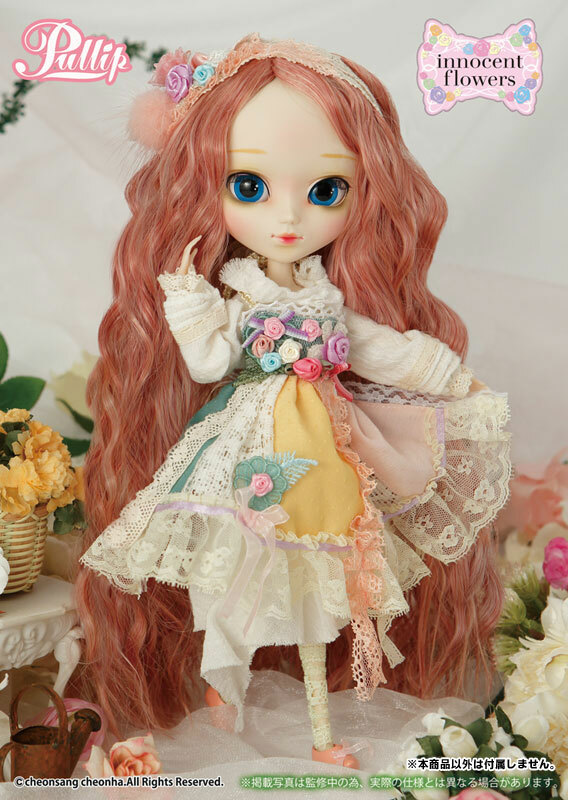 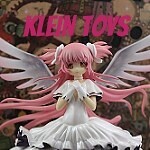 She is counterpart to Dal Cherry Sweet. 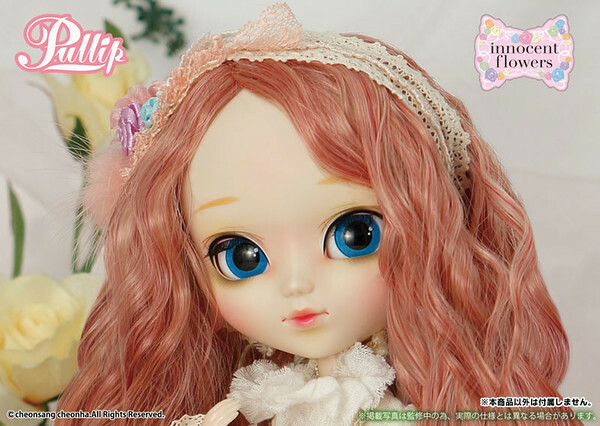 Feel Like So: Bright Roses….. 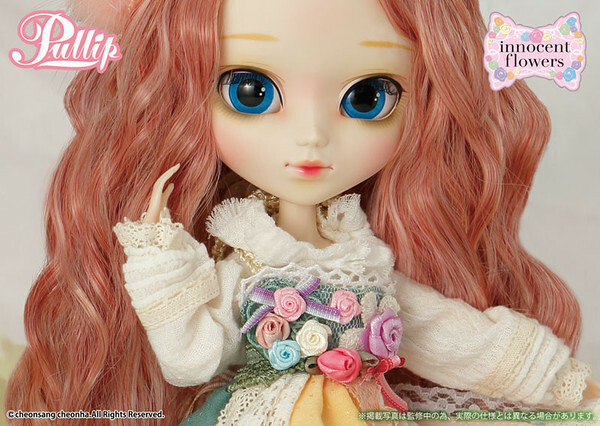 Smile unwillingly…..Seems to bloom until my heart splendidly….Feel Like So. 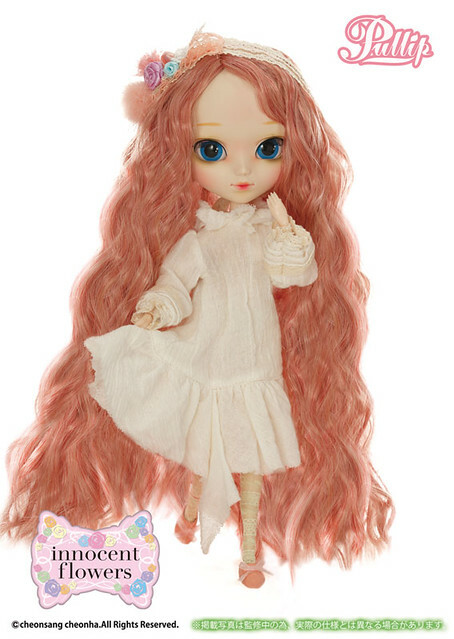 Wig: Long wavy pink wig. 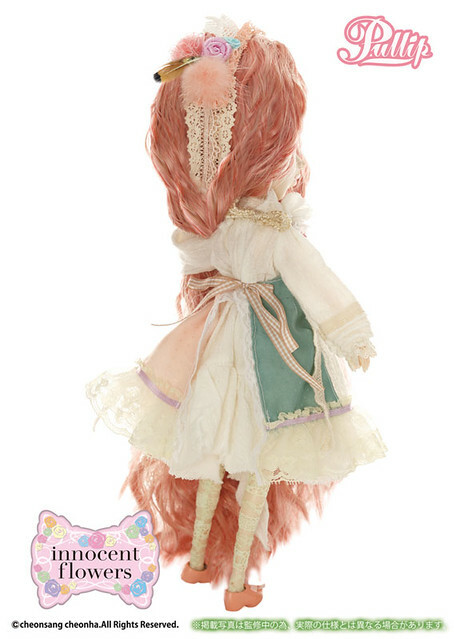 Stock: Eve Sweet’s stock contains a headdress, one-piece dress, frill apron, tights and shoes. 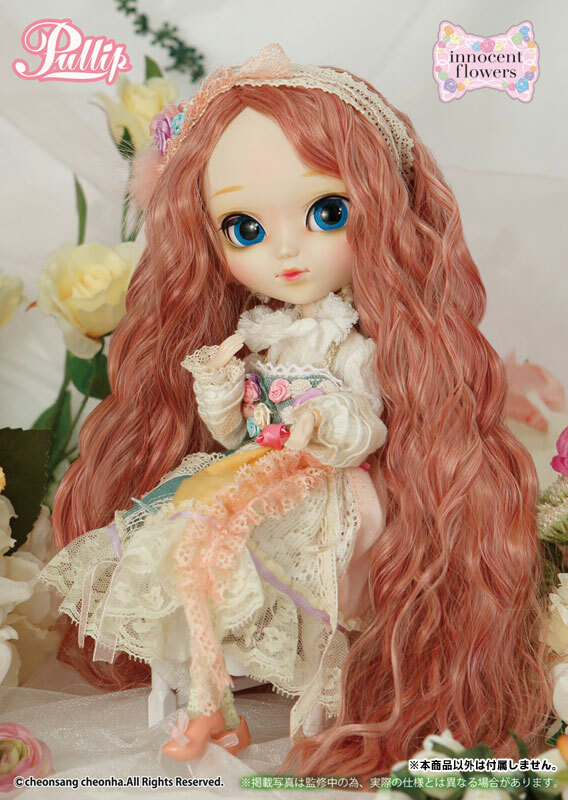 Special notes: Pullip Eve Sweet was voted the number 1 prototype doll in a survey at a Tokyo Doll Show on May 5th 2015. 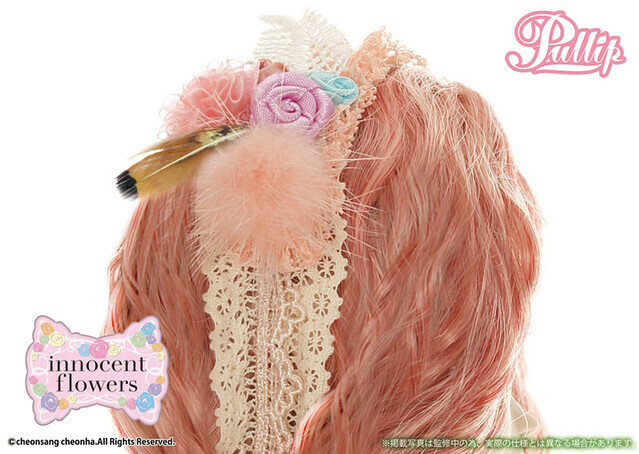 Known Issues: Stock may contain animal products (headdress).